Handmade and stitched in Anaheim, California. Subtle and stitched stripe down the center. 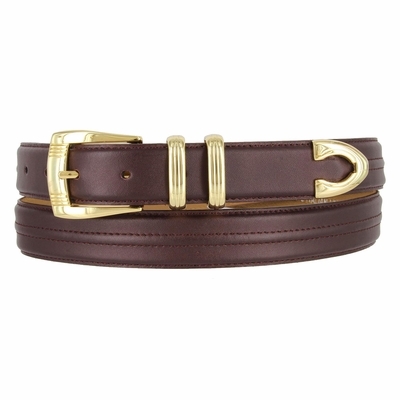 Gold-finish and Matching four-piece metal buckle set. Measure around where you wear the belt, with your pants on, and order the closest size.